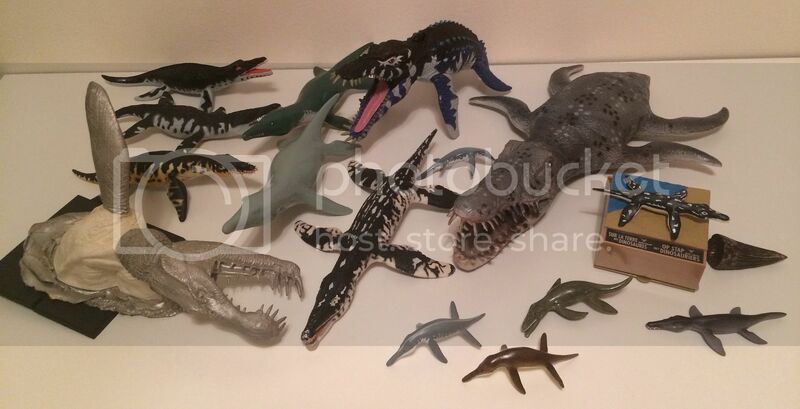 I think i got my entelodont in a large lot of dino riders i got a long time ago. Tyco prehistorics were once endorsed by smithsonian and sold as accurate figures back in the day after dino riders was kaput. Too bad they didnt redo the entelodont at that time. Cant wait to see what you post next! 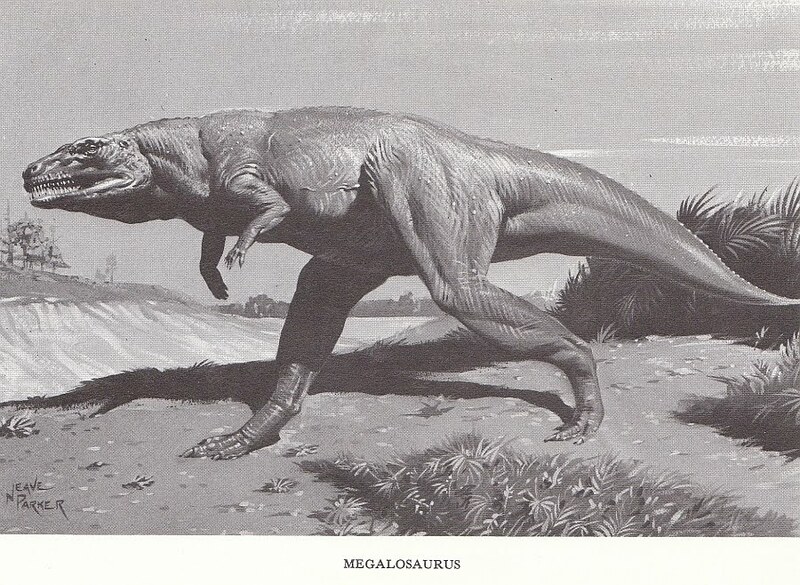 I'm seeking Orsenigo and other interesting vintage dinosaurs. Contact me if you can help with my search! Archinto - This pretty much rounds out the small collections. The big ones are coming up soon! Dang, that Ice Age figure means Hesperornis is off the Unique Species List! Indeed. But we can throw Ostafrikasaurus on there thanks to the new JP figure. I've got it in my Acro collection. 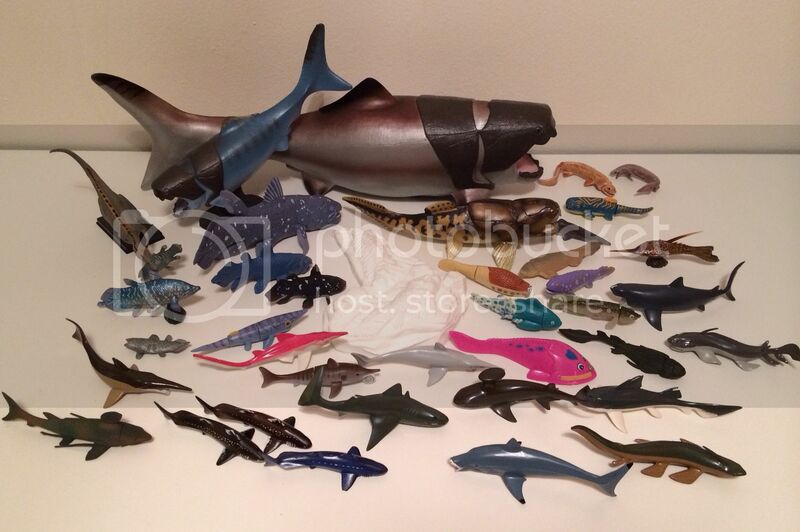 What are the 2 white diplocaulus figures in the bottom right of the picture? 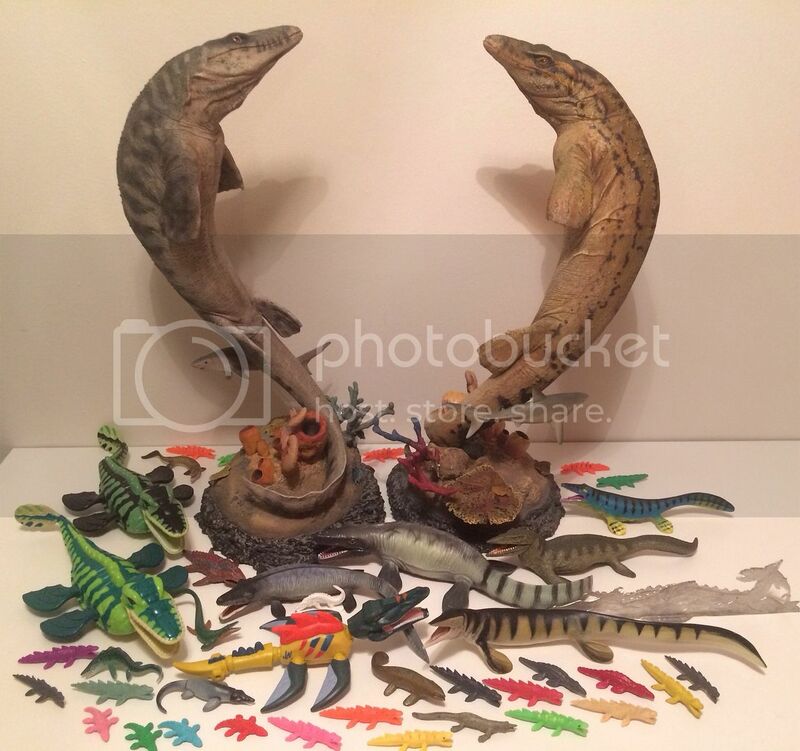 Megalo - I got that pair on eBay a number of years ago, along with a very odd-looking plesiosaur presumably by the same artist. 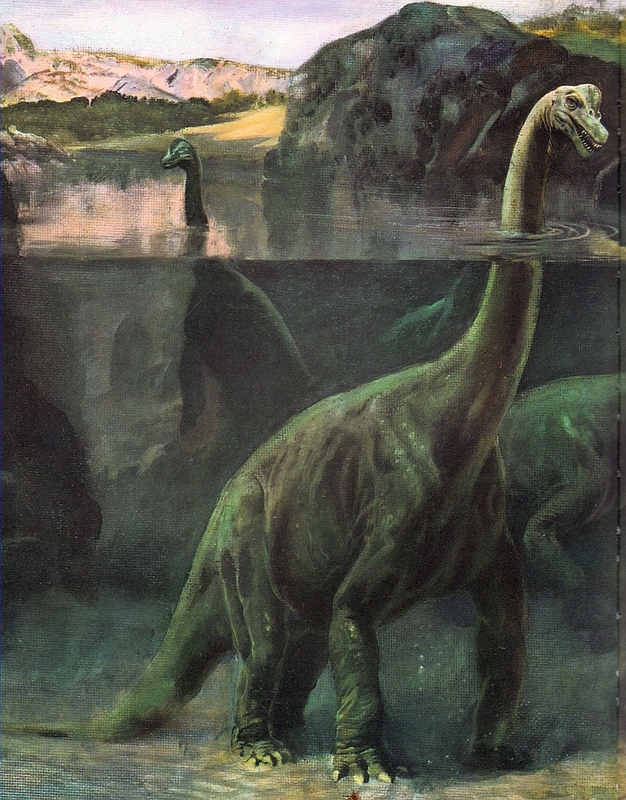 The seller had other dinos for sale as well, but the artist's name wasn't given, whether it was the seller themself or not. They are hard resin. JP figure? Which one would that be? And is that a very pink Starlux Cephalaspis I'm spotting there? Roselaar - It's in the Jurassic World Brawlasaurs line. Here's a link to the Hasbro page showing it. I couldn't believe it when I spotted that name on the packaging in my local store; I had only known about this dino from spinosaur taxonomic charts. And yes! 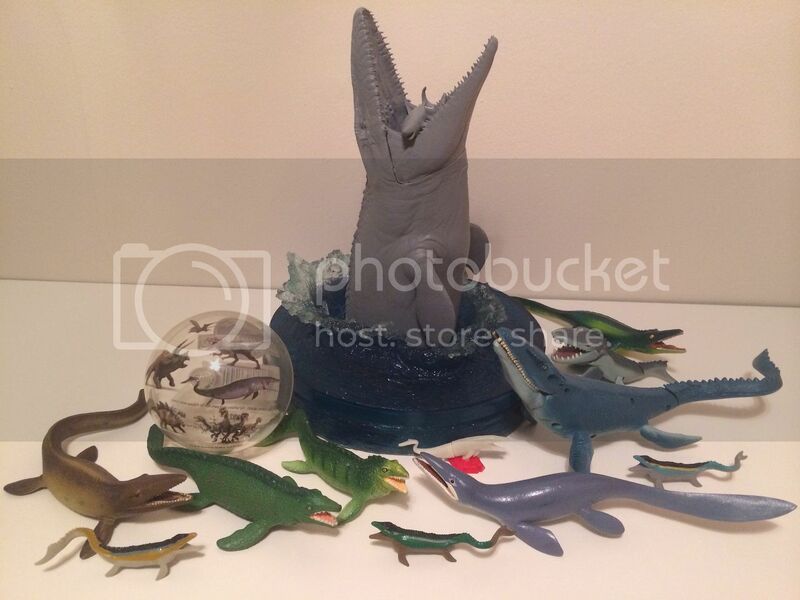 That one was from a children's magnetic fishing game I bought at Gatorland in Orlando, FL. 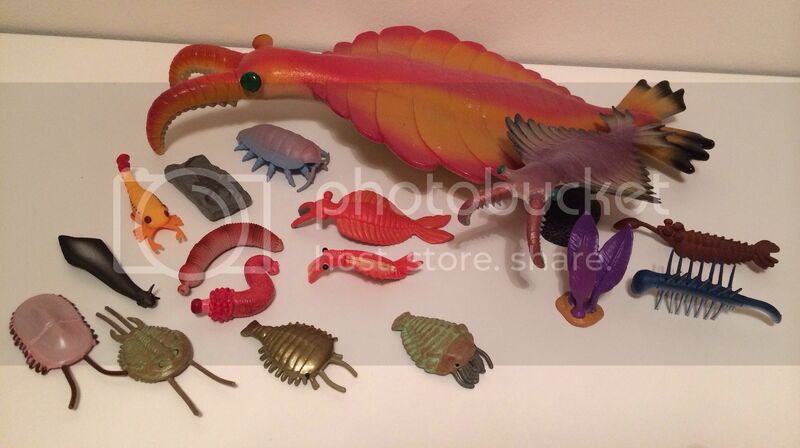 I was in the gift shop and spotted a shape familiar to any collector of prehistoric fish, in a bubble pack with other babyish, fruity-colored modern fish. I bought the whole game just for that figure, despite my lady friend giving me the side-eye. It's cheap plastic and hollow with no bottom. Oh my, how could I have missed that as a JPtoys mod?! Probably the fact I don't give a damn about these Brawlasaurs. That said, adding Ostafrikasaurus to the list. And thanks for the tip. This is a great collection! That pink Cephalaspis is a charmer. What other weird animals besides Hesperornis were in Ice Age dioramas? Halichoeres - Due to a limited budget I only have the ones from the species I collect. 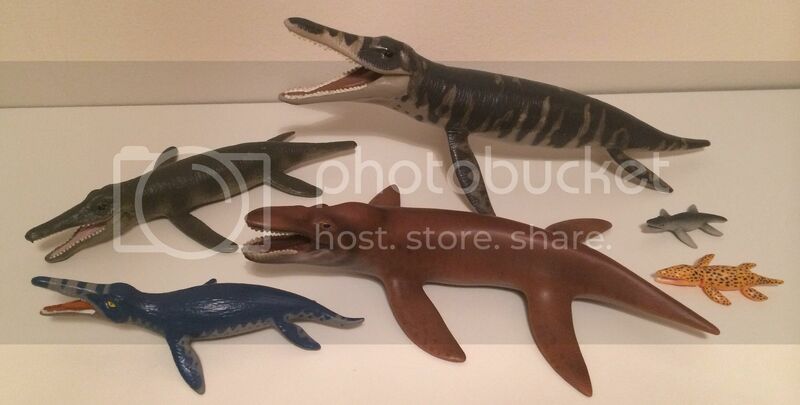 I picked up the Hesp, the Platybelodon (can be seen in the prehistoric elephants collection), the Pliosaurus, and the Metriorhynchus (known as Maelstrom and Cretaceous respectively in the 2nd Ice Age movie). I think the seller might have been from Poland. They sure are neat, with three-dimensional scenery and a name plaque in their little cubes. Starting to get into some of the bigger collections. 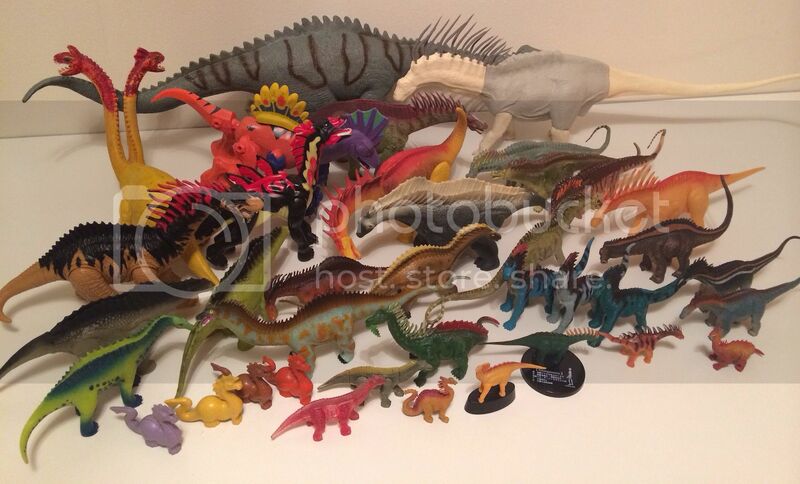 Amargasaurus/ Rebbachisaurus collection. Basically any sauropod with a sailfin on its neck or back. Ooh, who did that big piece? Also...are those Carnegie and JW bootlegs?